Photos submitted by West Pottsgrove Elementary School. Children's author Kenneth McCloskey talks to West Pottsgrove students about reading. 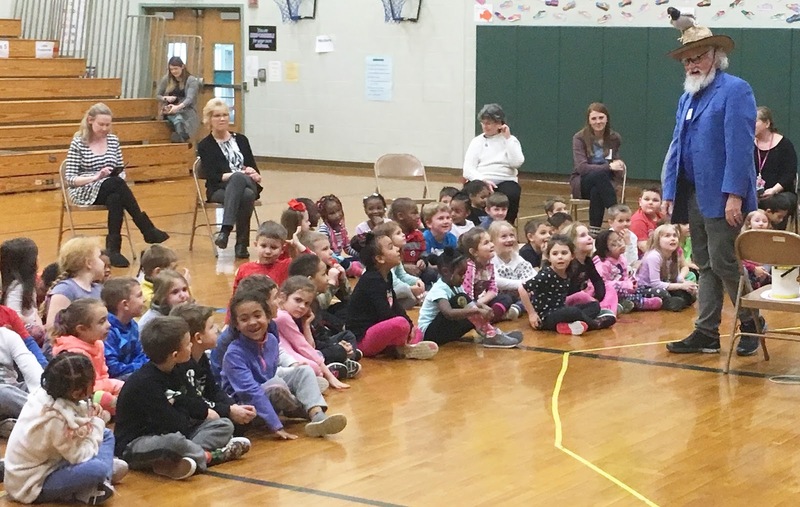 Heidi Mottin reads her book "Rescuing Reed,"
March 2, has become a very special day in schools across America as a celebration of reading. This is all because March 2 is the birthday of beloved children’s author Dr. Seuss. The day has become known as Read Across America day across the country. 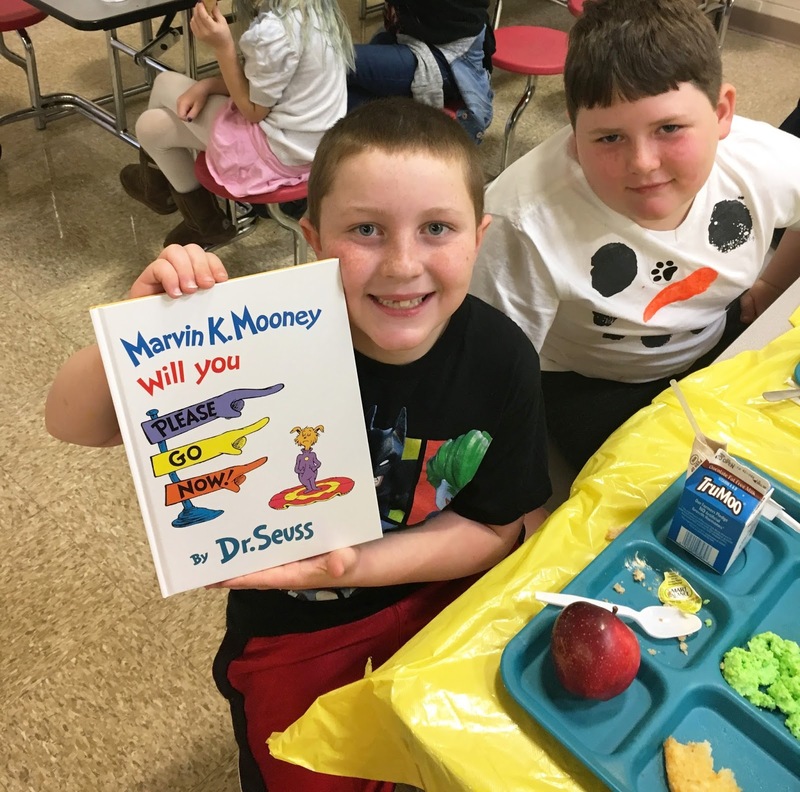 At West Pottsgrove Elementary, we used the entire week of Feb. 26 to March 2 to celebrate Dr. Seuss and reading across the building. We had daily spirit days such as Cat in the Hat Day, Crazy Sock Day and Oh the Places You Have Been to name a few. The cafeteria even served green eggs and ham one day. This was also in conjunction with our PTA Book Fair. On Thursday March 1, we welcomed children’s author Kenneth McCloskey to share some of his writing with the students. Mr. McCloskey read his book We Dig Worms and as a finale we had an earthworm race. Mr. McCloskey also shared his process of writing a nonfiction story. Students had the chance to pre-purchase his books and he autographed each and every one for the students. Mr. McCloskey also generously donated $2.00 per book purchased back to our PTA. Also on March 1, we welcomed another author to our family reading night. This was an opportunity for families to celebrate literacy and to shop the book fair. We welcomed Heidi Mottin and Reed, her certified therapy dog. Heidi read her book Rescuing Reed to the students and their families and the children had an opportunity to meet Reed in person. The story Rescuing Reed is a great story for children reminding them that everyone has great potential to do great things. We closed out our week on Friday March 2, with a celebration of Dr. Seuss and reading. We had many guest readers throughout the building and our second grade students all partnered with a kindergarten class to share favorite Dr. Seuss books. We did not let Mother Nature deter our excitement about reading and the students had a wonderful time and had the chance to meet two authors up close and personal.